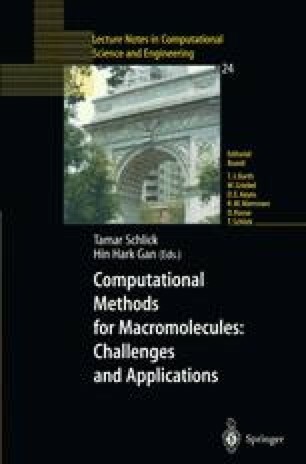 Two new algorithms are described for computing nonbonded particle interactions in classical molecular systems, (1) a particle-cluster treecode for the real space Ewald sum in a system with periodic boundary conditions, and (2) a cluster-cluster treecode for the total potential energy in a system with vacuum boundary conditions. The first algorithm treats electrostatic interactions and the second algorithm treats general power-law interactions. Both algorithms use a divide-and-conquer strategy, adapted rectangular clusters, and Taylor approximation in Cartesian coordinates. The necessary Taylor coefficients are computed efficiently using recurrence relations. The second algorithm implements variable order approximation, and a run-time choice between Taylor approximation and direct summation. Test results are presented for an equilibrated water system, and random and sparse particle systems.